A local couple, Liz Charles and Kyle Hurtubise, is engaged to be married at one of their favorite locations. Their wedding will be unique, to say the least, as they plan to get married at the local historic movie theatre, The Mayfair Theatre on Bank Street in Ottawa. The Mayfair Theatre is an 80 year old institution and one of the oldest independent movie houses in Canada. 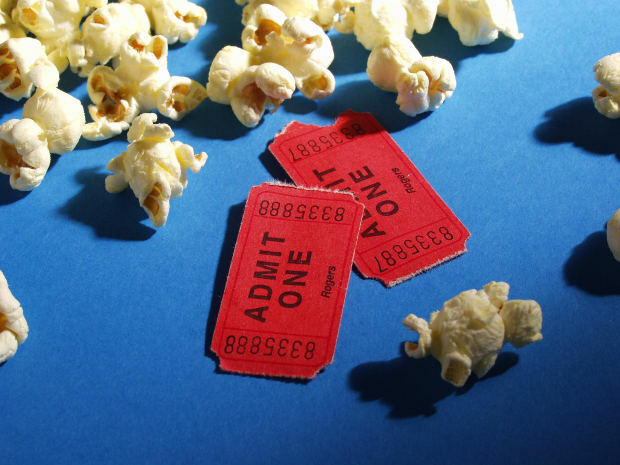 In order to stay in business, however, they need to upgrade to a Digital Cinema Package projector since movie theatres are no longer releasing movies on film. This DCP is expensive and in order to help make the purchase happen, The Mayfair turned to a fundraiser. The fund-raiser is hosted through a website called IndieGoGo, which allows individuals who donate to the fundraiser to choose a gift like "Eternal Gratitude" for a donation of $10 or a "Platinum Card" and free movies for a year for a donation of $1,500. The story of the unique movie-themed wedding gift, is that of the gift of a "Chair" or a plaque on a chair etched with your name making it, in a sense, your chair. In an effort to show their support for this beautiful old movie theatre, Charles and Hurtubise came up with the money to 'buy' one movie chair. Their budget is tight though because of their upcoming wedding so they asked the Mayfair if they would put both of their names on a single chair plaque. They posed their request on Mayfair's Facebook page and were surprised when an individual they do not know purchased the second chair so that they could "sit side by side forevermore." What a beautiful gesture! How is that for a unique movie-themed wedding gift? Visit The Mayfair Theatre website. 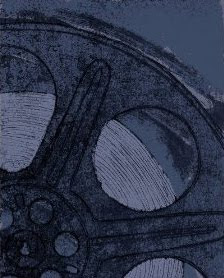 Make your donation to The Mayfair Theatre's fundraiser at IndieGoGo. 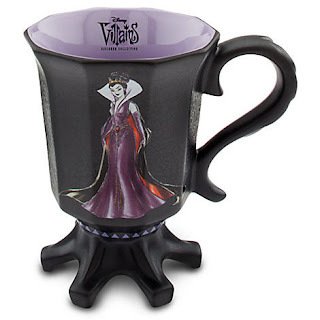 Someone has to show some love to Disney's villains and if you are one of those individuals who takes a certain evil delight or maybe even cackles outloud at the thought of Alice in Wonderland's Queen of Hearts, Sleeping Beauty's Maleficent, The Little Mermaid's Ursula, Tangled's Mother Gothel, Snow White's Evil Queen and 101 Dalmatians' Cruella De Vil, then you will love this coffee mug collection from the Disney Store Designer Villains coffee mug collection. 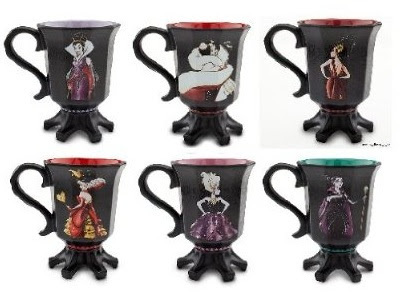 Click here to see all of the Disney Designer Villains Collection coffee mugs on eBay. Meet Lucille LaVerne: The Voice of The EVIL QUEEN in Snow White. Uncover what Disney is releasing from The Vault this year.